There are approximately 20,000 butterfly species across the globe. Canada is currently home to 275 of those butterfly species, but sadly those numbers could dwindle without a little help. 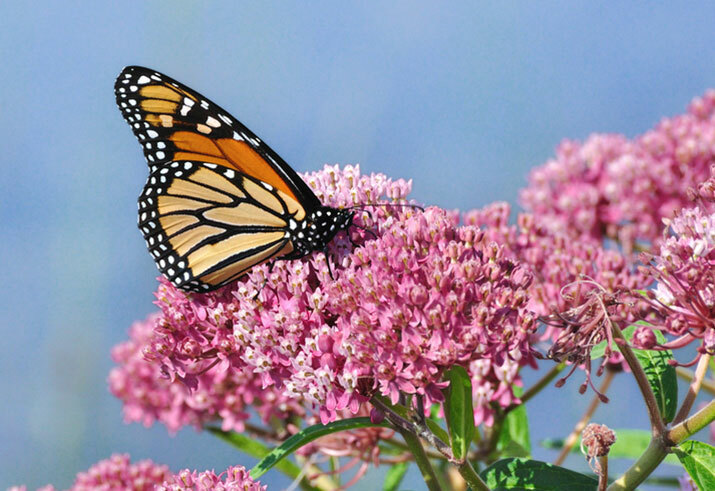 If you want to help our butterfly species like the Monarch or the Tiger Swallowtail, pull up your sleeves and plant these # plants that will make your backyard a haven for these fluttery, striking creatures. But before you head out to your nursery with this list, be sure to check for native varieties for your region. All set? Let’s get gardening! 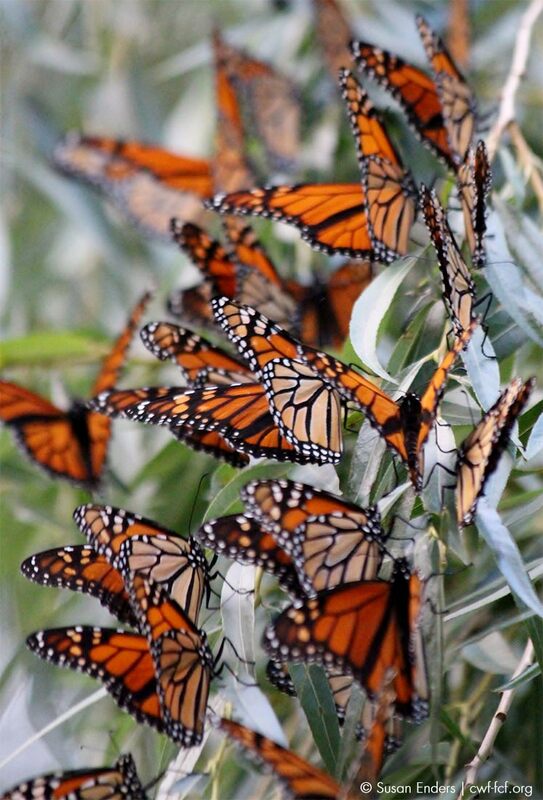 The Monarch Butterfly feeds exclusively on Milkweed during the first stages of its life. The plant contains poisons called cardiac glycosides that Monarchs carry with them after chowing down on this plant. It doesn’t hurt Monarch larvae, however, the predators that try to eat Monarch larvae have a terrible time digesting it and thereafter relate the bad experience with the brightly coloured Monarch. This allows the Monarch species to survive. Even when they transform into their final form, Monarch Butterflies seek out the nectar that Milkweed provides so they can build up their strength and fat reserves for the 2,500 kilometre journey it will endure in the fall. If you only add one plant to your garden this year, make it the Milkweed. Just be sure to speak with your local nursery to find out what variety of Milkweed is native to your region. Caterpillars need all the help they can get so they can transition to adulthood. That’s why planting species that are host plants to this younger state is so crucial. If you’d like to attract butterflies like the Viceroy and the Mourning Cloak, you might want to consider planting a Willow. Butterflies love to drink from the tree sap too! If you’re lucky enough to have a large plot of land, you can plant a Willow tree. Just be sure you plant it far enough away from your home as these trees have far reaching roots that can wrap around pipes (they’re strong enough to break them!). If you live in the city or the suburbs, there are all kinds of variations of Willow that you can plant – from shrubs to dwarf-sized Willows. Whatever variation you choose, these plants will grow quickly – especially if you put them in full sun and in moist soil. 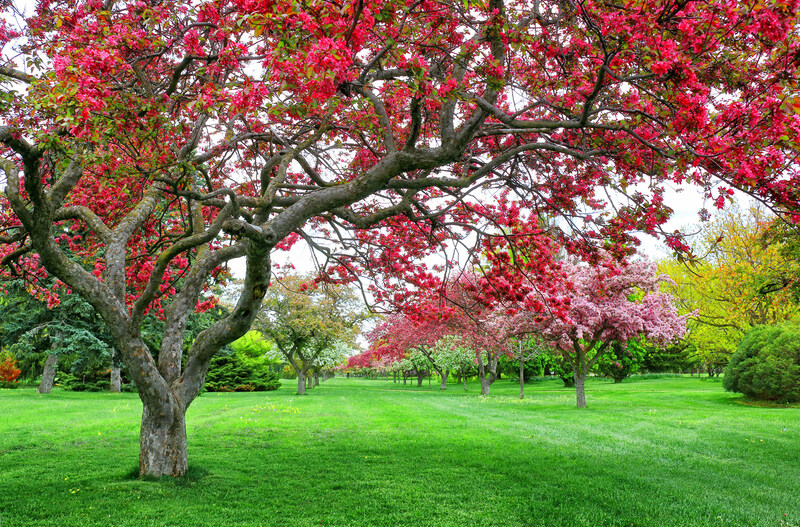 Crabapple trees are incredibly beneficial to butterflies in the early spring. Not only are their flowers wonderfully fragrant, even their leaves are desirable by many butterfly species. The larvae of species like Viceroy Admiral, White Admiral andSpring Azure enjoy chowing down on the leaves. While fully grown butterflies will happily snack on the fruit – especially when they’ve had time to ripen. Butterflies struggle to eat solid foods and so they’ll wait until the fruit has time to ripen or even rot before they pull up a chair and dig in. They’ll nosh on fruit from the branches or even from the ground. The Spring Beauty is one of the first flowers to pop up from the earth after winter has subsided. 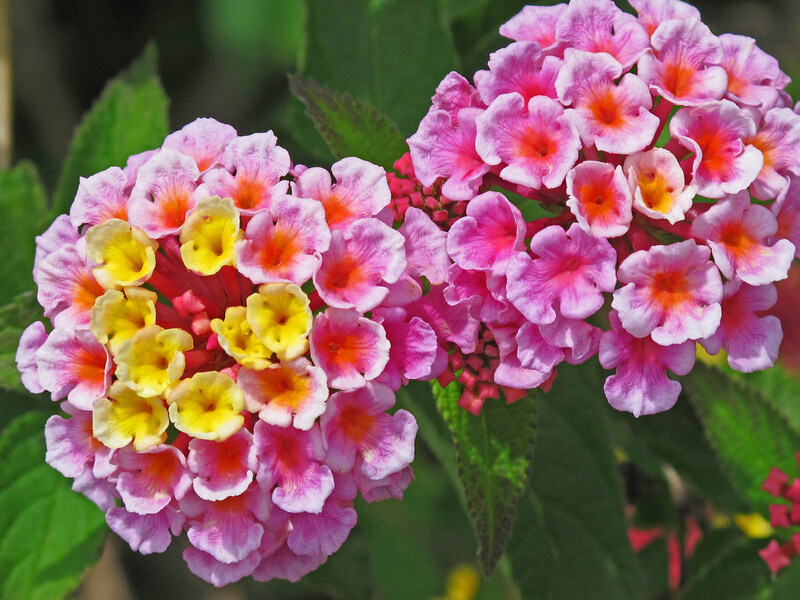 If you want to plant these lovely flowers in your garden, you’ll want to plant them in a shady spot – especially where there is a deciduous tree (its leaves will nourish the soil). The Spring Beauty blooms from April and July, making it a perfect addition to your garden for butterflies throughout the spring. 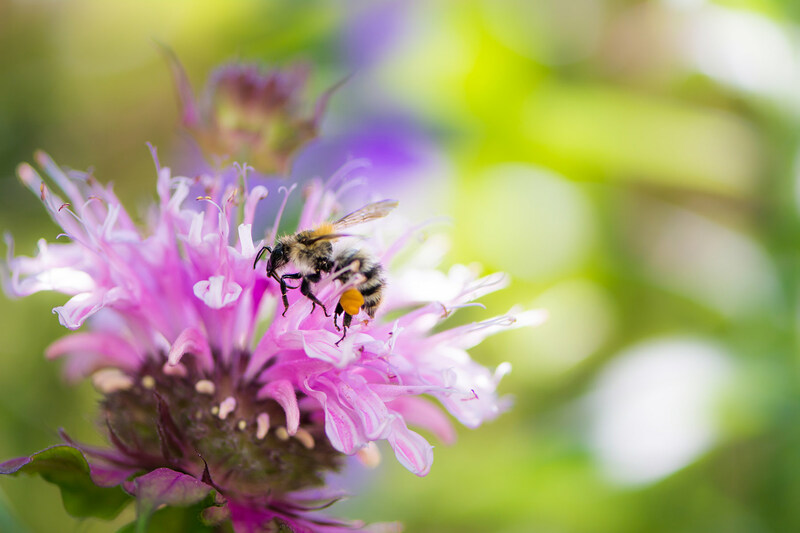 They’re usually white with red or pink stripes on the petals – these lines help to lead pollinators to their nectar. 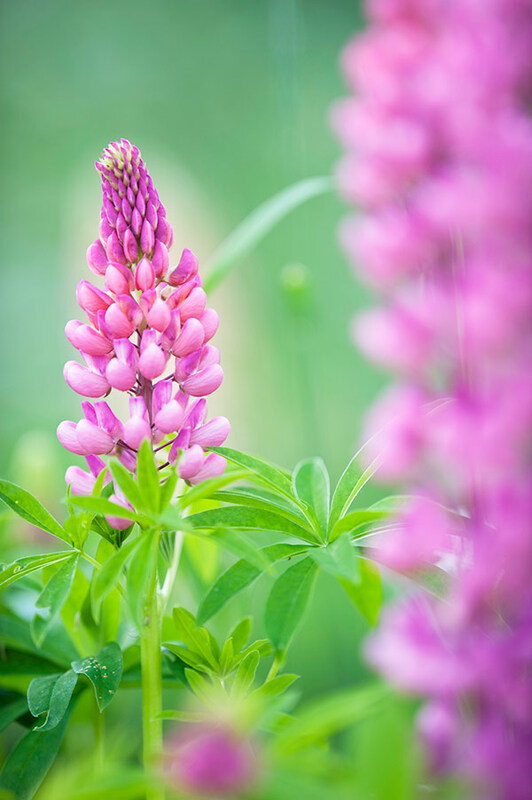 You may have seen Lupines on your daily commute to the office – even if you’re hightailing it on the highway. These flowers grow in roadside ditches, but make no mistake, they’re not weeds. These hardy wildflowers can grow in poor soils and even during summer droughts. Moreover, there are several variations that grow right here in Canada. These blooms will attract all sorts of pollinators and birds and small mammals will happily nosh on their seeds. But if you’d like to attract butterflies, opt for purple lupines like Silvery and Prairie Lupines. Butterflies are really attracted to purple hues – you may have noticed that many nectar rich blooms are purple! Part of the mint family, Wild Bergamot smells similar to bergamot orange or earl grey tea. Their fragrance may attract gardeners, however, it’s their tubular blooms that attract butterflies like Fritillaries. If you decide to plant these in your garden, be sure they’re in moist soil and have a sunny spot. Keep a close eye on it though; they’re prone to get mildew so be sure they’re getting enough air circulation. 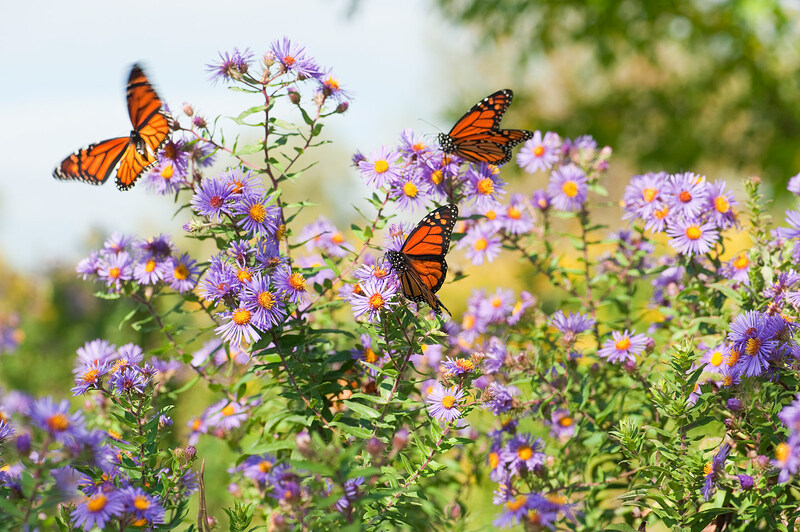 As summer fades, butterflies rely on late blooming plants like Asters. This bloom should be easy to grow and will come back year after year to support the pollinators in your backyard. They’re especially important to butterfly species like Pearl, Tawny and Field Crescents as well as Harris’ Checkerspots as they will feed off of the nectar of Asters. Verbenas are long blooming plants that do best in fertile soil with direct sunlight. Their spiky blooms attract plenty of pollinators, including butterflies. There are plenty of variations of Verbenas, however, the Hoary Vervain is most definitely a favourite among gardeners, for its bright violet colouring. The Hoary Vervain is also incredibly hearty – it does well even in the driest weather. If you’re lucky, you’ll spot fascinating species like the Dogface Butterfly (especially if you live in the southern part of our country). You can spot this remarkable butterfly by its wings – it appears to have a hound’s head on them.